Ah! My Son, My Son. 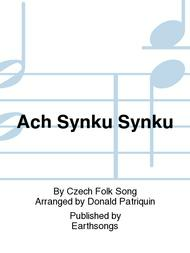 Composed by Czech Folk Song. 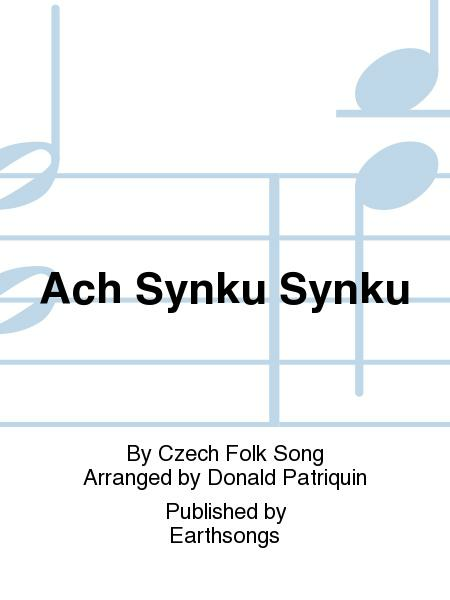 Arranged by Donald Patriquin. Jean Ashworth Bartle Choral Series. Recorded on ES.CD-14. Secular. Octavo. Published by Earthsongs (ES.W-054D). Language/Country: Czech/Czechoslovakia. No.4 of "World Music Suite". Translation, pronunciation guide, pronunciation tape available. For separate instrumental parts, see item number W-054D-PARTS.